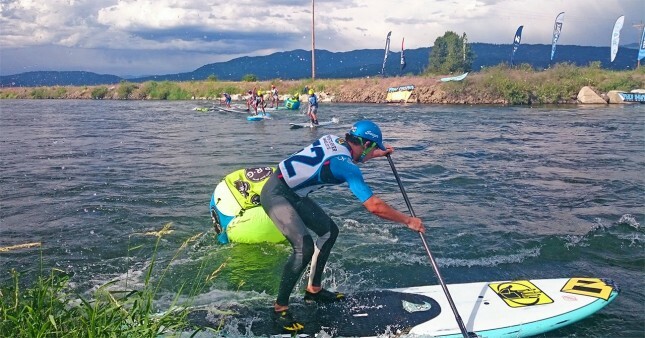 Mo Freitas and Rebecca Giddens have just won the 2015 Payette River Games following a hugely entertaining three days of racing here in Idaho. In one of the best all round performances we’ve ever seen, Mo made it a clean sweep by claiming both the super technical “SUPer G” time trial and the mildly chaotic SUP Cross event. Giddens, a former Olympian and mother of two, matched this extraordinary result by sweeping the women’s events. Full results below. Recap/photos/videos to follow.